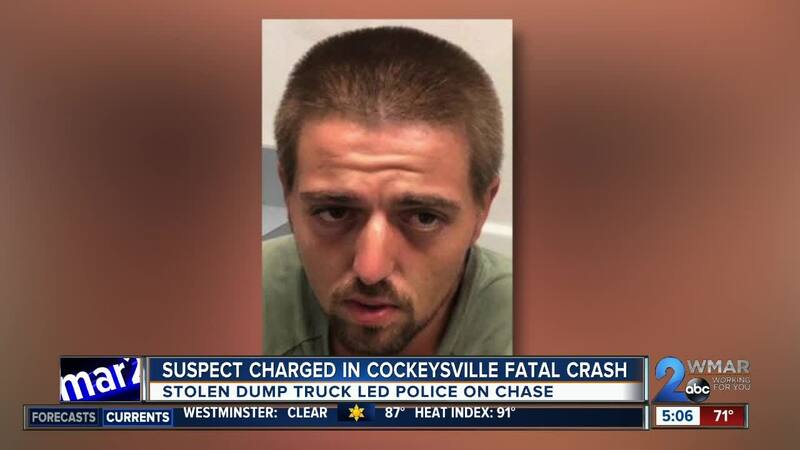 A Hunt Valley man is facing more than two dozen criminal charges after stealing a dump truck while allegedly being drunk and on drugs, fleeing from police, and killing a man during the chase. The incident reportedly began about 2 p.m. Monday when Baltimore City Police contacted Maryland State Police about a stolen dump truck headed northbound on I-83. Troopers eventually located the truck, owned by a roofing company, unoccupied in a Walmart parking lot in Cockeysville. Police say they set up surveillance to see who had stolen the truck. A man, later identified as 26-year-old Zackery Haeger, was later seen getting into the truck, at which time police attempted to stop the vehicle, but he refused. Haeger then proceeded to drive towards troopers who were outside of their vehicles, causing them to have to jump out of the way. Driving erratically at a high rate of speed, he continued to flee, leading troopers on a chase that spanned from York Road through Padonia and Cranbrook Road. He was driving down the median lane on York Road when he hit another car at Padonia Road, causing disabling damage to the car. During the pursuit, the stolen Ford F550 dump truck crossed a double yellow line again and collided with another car, an oncoming Nissan at Rossbrooke Circle. Haeger then bailed out of the car and ran away, where he was captured by troopers. 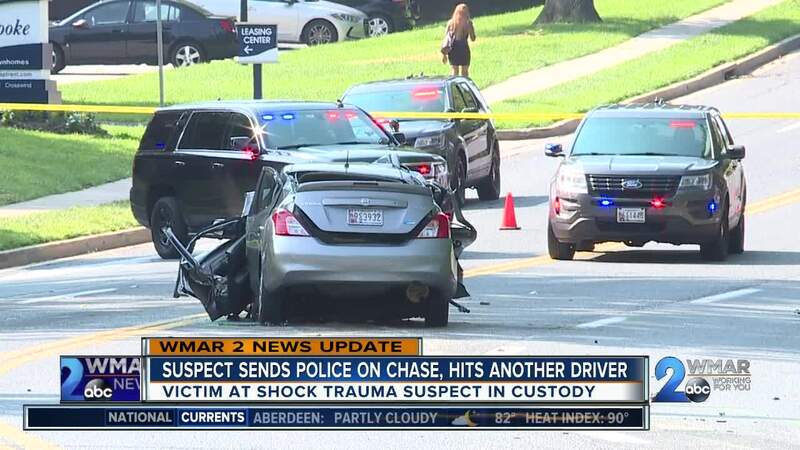 The driver of the Nissan struck by Haeger, 58-year-old Leon Jones, was transported to Shock Trauma where he later died.